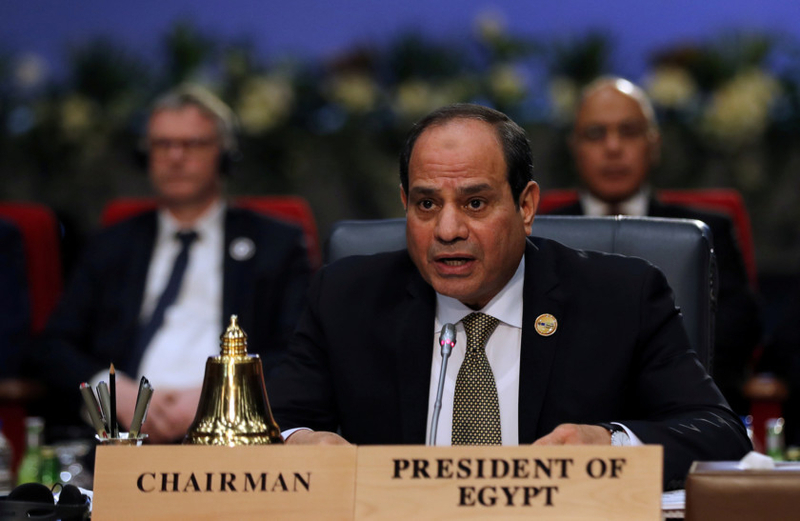 Cairo: Egyptian parliament is due to start Wednesday hearing sessions on proposed constitutional amendments, which could allow President Abdul Fattah Al Sissi to rule until 2034, lawmakers have said. Al. Sissi’s current term in office ends in 2022. The assembly’s Legislative and Constitutional Committee will host several politicians, heads of professional unions, judges and university professors to hear their views on the proposed changes, Ahmad Al Sharif, a senior official in the panel, said in media remarks. “Over the past month, the parliament’s general secretariat has received a large number of suggestions on the [constitutional] articles proposed to be amended,” added Al Sharif, the committee’s deputy head. The hearings are expected to run for one month. The proposals, sponsored by the pro-state Egypt Support bloc in the legislature, includes extending the presidential term to six years instead of four, appointing at least one vice president and reviving the upper house of the parliament. The current constitution has a two-term cap for the head of the state. The amendments also include a provisional article that makes it possible for Al Sissi to run for president for two more tenures. Experts on the constitutional law will also be invited to the hearings to express views on the proposed changes, MP Ihab Al Tamawi, said. “The Legislative and Constitutional Committee will hold six hearing sessions over two weeks. It will later forward a related report to the parliament by April 15,” Al Tamawi, another senior official in the panel, added. Prominent lawmaker Mustafa Bakry expected the parliament to finally vote on the changes on April 17. The changes must be endorsed by two-thirds of the legislature led by Al Sissi’s backers. Last month, the majority of the assembly gave an initial approval to the changes. The changes cannot become a law before they are adopted in a referendum. “The amendments are likely to be put up for a public referendum on three consecutive days, beginning on April 22,” Bakry told independent newspaper Al Masri Al Youm. The current constitution was adopted in 2014, a year after Al Sissi led the army’s overthrow of Islamist president Mohammad Mursi following enormous street protests against his rule. Al Sissi took office in mid-2014. He was overwhelmingly re-elected for a second four-year term in 2018. He is credited with waging a relentless anti-terrorism war that has largely restored stability to Egypt, the Arab world’s most populous country.